August is beautiful in Grosse Pointe this year. With the delightful temperatures, adequate rain, and loads of sunshine, the Pointes are peaking in all their gardening glory- and it’s evident everywhere you turn. Now is the time when all the work, and pleasure, in your garden comes to its beautiful fruition. 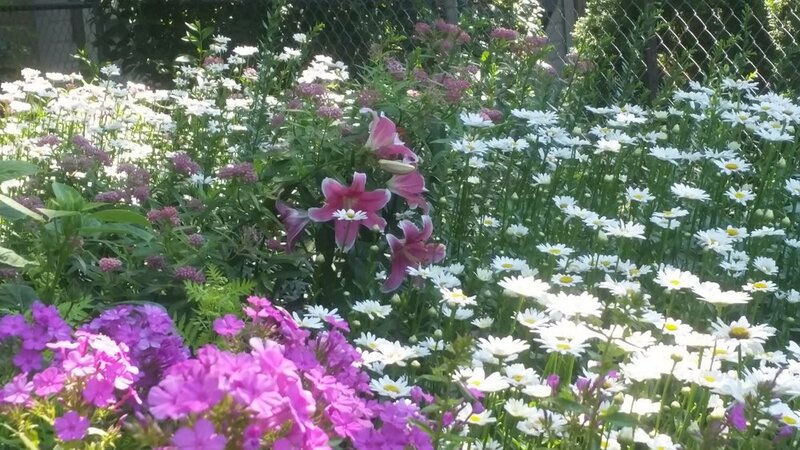 Annuals are bursting with showy waves of color. 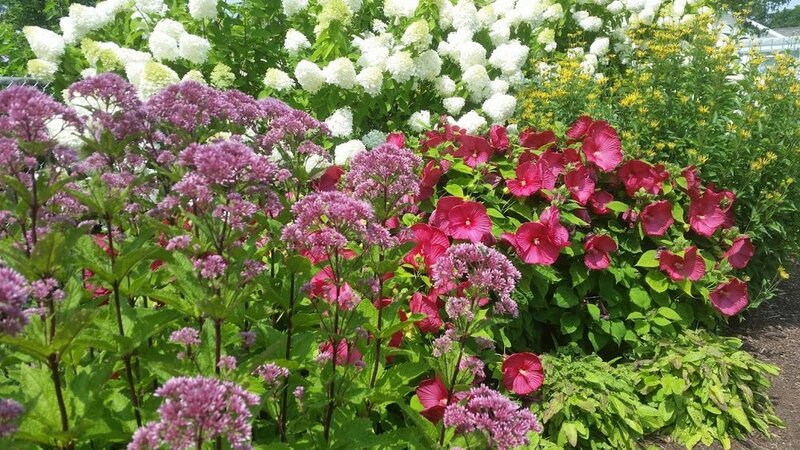 The hydrangeas are breathtaking with their beautiful blooms. Hibiscus is boldly shouting for your attention and roses are showing off why they are worth the extra effort. Mounds of daisies are spilling over, laughing in the sunshine. Now is the time for all humans, and pollinators alike, to sit back in your favorite garden spot and drink it all in. ahhhh! This is some very tasty nectar...and I am loaded down with pollen!